The Avonmouth Space Program has now launched and our mission is to supply homes and businesses in Bristol with the storage space they need.. Affordable - our prices really are out of this world. Flexible - with no minimum period and long term contracts available. Okay so most other self store companies will say the same so what makes us different? 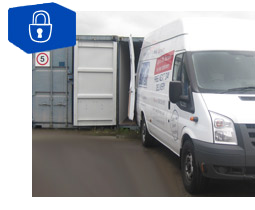 We’re a local business and have been running storage depots since 2002 with a 100% security record. We’ve now landed in Avonmouth to help businesses and private customers in the quest to make the most of their space. That’s why we’re called the Avonmouth Space Program. Some self storage sites can be cramped meaning you have to wait for someone to finish unloading before you can get past. We know your time is important so our depot has wide aisles so even vans can pass each other. Level access means you can unload straight into your unit without the need for lifts and trollies. Way more convenient and another big time saver. Our amazing prices already include up to £20,000 worth of insurance. Nobody else is offering that. Our depot has digital CCTV which is recorderd 24 hours a day. We have night-time security patrols and a brand new state of the art access control system, so nobody takes better care of your stuff. Our high-security locks sit within a lock box on the front of the container meaning our locks are virtually tamper proof. They are designed to be anti-saw and anti-pick. 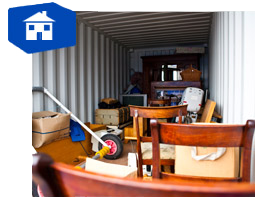 If you need extra storage space, it is our mission to bring you great value self storage in Avonmouth. This is our most popular unit size but we have a range of sizes available. Take a look at Our prices page to find out more. You’ve found the perfect people to look after your stuff. We have been full members of the Self Storage Association UK since 2015. This means you can be assured that we meet their high standards of professionalism and security. No one could take better care of your things.